When a marriage is new, it’s exciting. But as time passes, couples can drift apart and wrestle with the challenges that are common in any marriage. It can feel overwhelming, but together, couples will find that a healthy marriage has thousands of course changes. 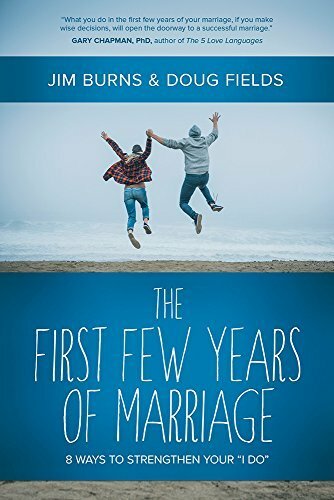 In this follow-up to Getting Ready for Marriage, authors Jim Burns and Doug Fields offer a practical guide designed to help newlyweds build a strong foundation for a marriage that will last a lifetime. Along with explaining the traits of a healthy marriage, The First Few Years of Marriage helps couples rekindle romance, fight fair, and deal with stress, the challenges of the first baby, and much more. This easy-to-read book gives married couples everything they need to go the distance together.